When Hiro Hiyorimi tries to save a beautiful young woman from certain death, he ends up a dead hero himself! 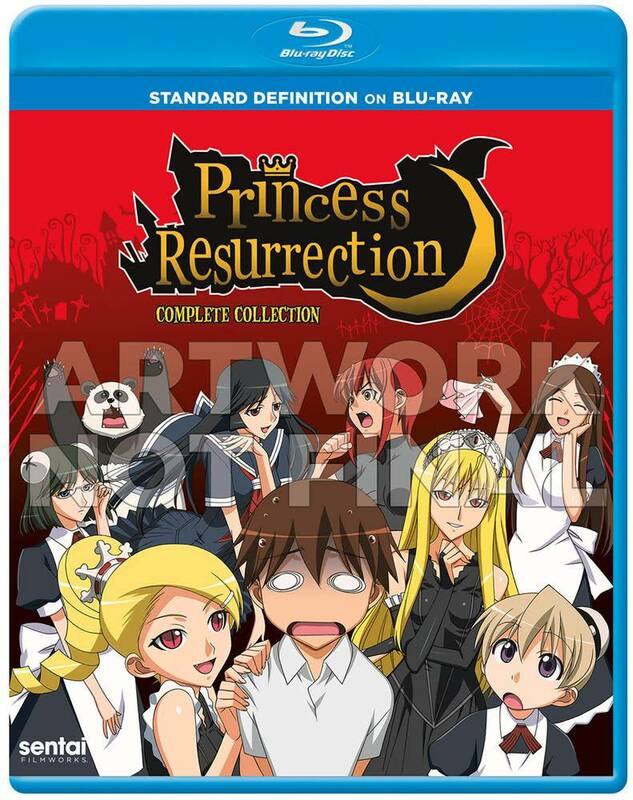 However, since the drop-dead girl is Princess Hime, daughter of the King of the Monsters, his "reward" is to come back as a not-quite-living soldier in her honor guard of horror! That means helping fight off the army of supernatural monstrosities Hime's siblings are unleashing against her in hopes of moving up the ladder of succession. And if facing off with vampires and zombies isn't bad enough, how can anyone be prepared for the truly weird ones like were-sharks, pandas and killer dumplings? This sure isn't the afterlife Hiro was hoping for, but the really sad part is that Hime is the good girl in all of this. Or at least, as close to good as you can come when you're on the wrong side of the gates of Hell! 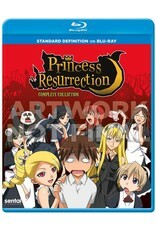 Get ready for the wildest animation about reanimation ever in Princess Resurrection - The Complete Collection!